Coastal Animal Hospital is a new veterinary facility dedicated to the health of dogs, cats, and small animals in Naples, Florida. With cutting-edge treatment, personalized service, and well-trained, caring staff, Naples Coastal provides quality care for pets and their owners. 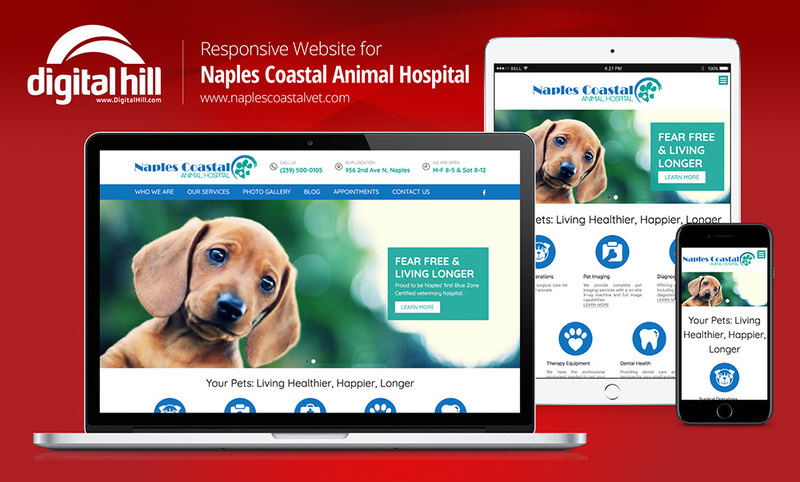 Their new website, naplescoastalvet.com, developed by us, showcases their excellent services. 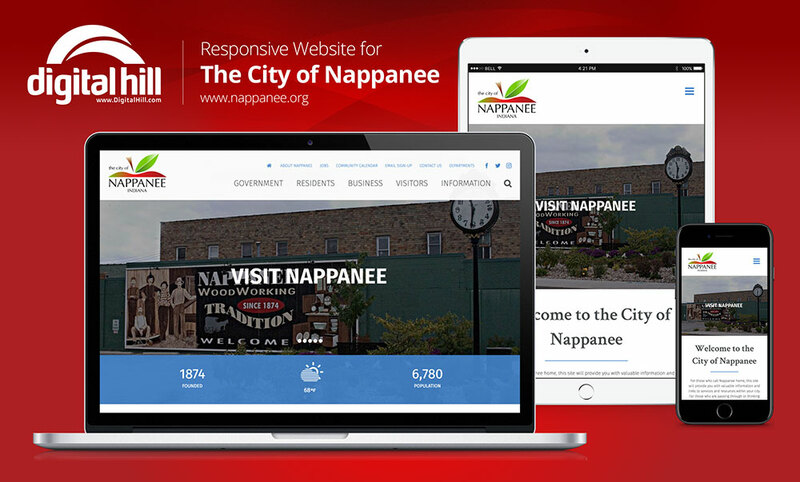 Clean, intuitive, and well organized, the website allows visitors and clients to locate services, receive updates, and peruse the site quickly and easily. Whether visitors want to schedule appointments, discover Naples Coastal’s services, learn about the hospital’s history, or look for contact information, the site isn’t cumbersome or confusing. The navigation sections of the website provide visitors with access to the essential links and information about the hospital. The header for the site gives visitors important information in one place. Instead of being located in the footer or posted on another page (or not at all), the hours, contact number, and address is right in the header and accessible everywhere. The navigation bar is simply designed and contains links to the site’s main pages. Additionally, it has a convenient link to Naples Coastal’s Facebook page. The navigation bar communicates what the site is about even before visitors read on. The footer is a particularly express part of this website. At a glance, visitors can see the hospitals certifications as well as the site navigation. With a blog, Naples Coastal is able to keep their clients updated. And use this platform to share their knowledge and expertise with readers. Blogs are an excellent way to add relevant (and search engine friendly) content to the website as well as injecting life into the site. Currently, the blog is geared toward sharing tips for pet owners dealing with vet visits. When a prospective client is considering taking their pet to the vet, they may not want to call right away. Likewise, they may not want to search for an email address. The contact form (located in the navigation and above the footer) lets prospects reach out without the hassles of using email or the time constraints of phone calls. Photo galleries are perfect for helping familiarize the site to visitors. Naples Coastal’s new website galleries showcase of furry patients offers a heartwarming glimpse at the esteem the hospital holds its service and clients. One of the most important features of the site is the online appointment setting. Old and new clients can access a portal to set appointments for their pets. Powered by ezyVet, the portal is convenient and easy to navigate. Rather than having to call to schedule an interview, clients can go to the portal and get help when needed at a later time. Clients can exercise their power to find the times that work best for them and their furry companions. Designed by Digital Hill, Naples Coastal’s new website brings another layer of service. Clients and prospects can come to the site and learn about the care the hospital provides. More importantly, the site is designed to allow pet owners to easily connect with the hospital. Thus enabling pet owners to get care their pets.